Can’t remember all those important events and meetings lined up for the day? We know the feeling. 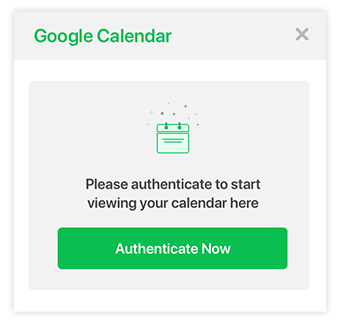 We also know that the first thing you probably do to solve this is create an event or set a reminder on Google Calendar. But, ‘I like switching between multiple tabs’ said no one ever! 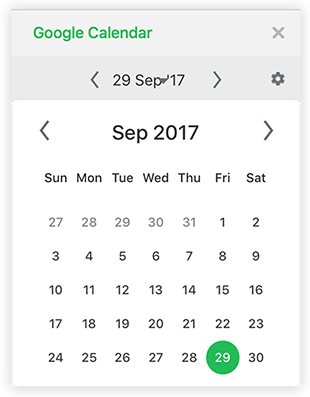 With our latest deep integration with Google Calendar, you can manage pretty much your entire calendar from within the app — from viewing your calendar to creating events and much more. 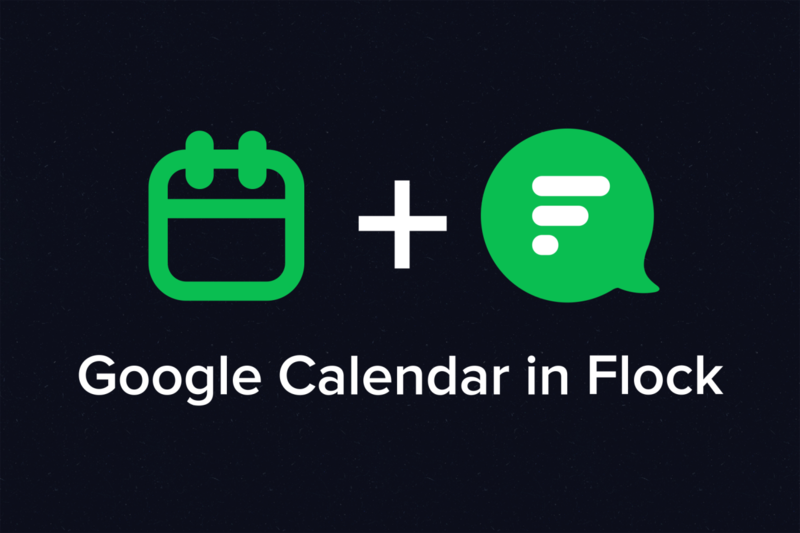 Go to the Flock Appstore, install the app, and authenticate your Google Calendar to seamlessly integrate the app with Flock. Let’s show you how. Note: The app will be pre-installed for users who authorized their Google account while signing up. Create an event from the sidebar or against any message. 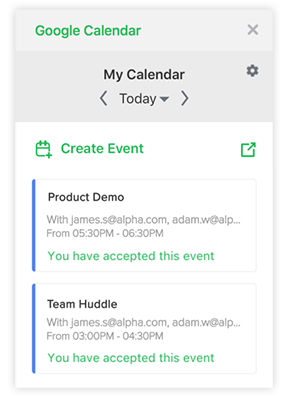 Get notifications about event updates, invites, and reminders on Flock. 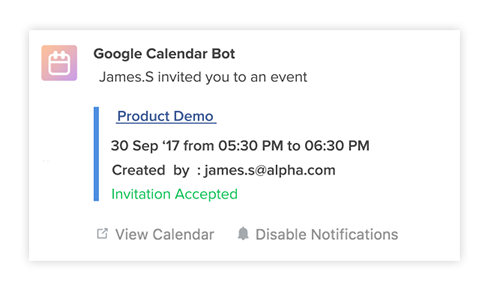 The nifty Google Calendar bot will notify you about all the events marked in your Google Calendar. And for the forgetful ones — we’ve also made sure you get an email about it. Yes, we’ve got that covered for you (as always)! Guess what? You can also accept and decline invites from within Flock. 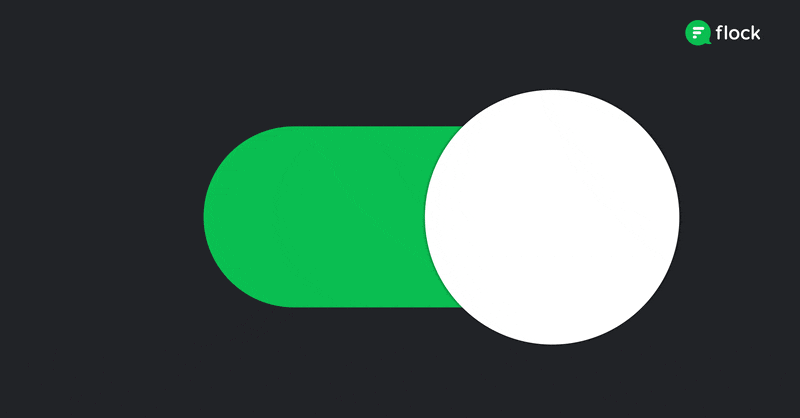 Pretty much managing your availability at events, with just a click. You will also be notified when someone accepts or declines invites you send. With most of your Google suite now on Flock, you can work at lightning speed and never miss a beat. So what are you waiting for? 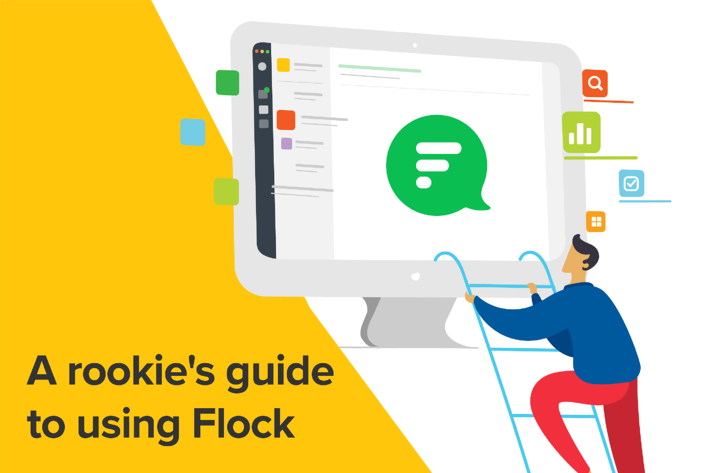 Go ahead and explore the magic of integrations on Flock, your favorite team messenger!